You're here because you want to venture into 0.0 space (nullsec) to join in on the excitement you hear about, but you don't have any training. You know you'll die. Many nullsec corps and alliances will offer you training only if you join their 'cause', whether that's PvP or industry. That can be daunting for someone that doesn't want to be part of some 'cause'. OUCH is the answer. It's the Open University of Celestial Hardship. We have very experienced trainers to teach you how to survive and fight in nullsec. We have no 'cause' other than to teach you nullsec survival and PvP. You're going to lose ships (it's why we ensure you're only using cheap, expendable Tech 1 frigates while you're doing your training). You're probably going to get podded a few times along the way. We don't guarantee your survival in nullsec, but we do guarantee to teach you how to minimize your losses. Kill more, die less is our motto. It's brutal out there, but when you're a member of OUCH, you're with a group of friendly, relaxed people who understand your fears. We're there to help you learn how to survive in nullspace. We will teach you everything you need to know. Once you graduate from OUCH you can choose to apply for permanent OUCH membership if you want, or you're free to move on. If you stay, you will have the opportunity to move into more advanced hulls and roles and receive advanced PvP training, including, for example, Advanced Piloting, Interceptors, EWAR, Recons, Covert Ops, and support ships. Our training sessions are usually held every week on Saturdays and Sundays at 19:00 EVE time, and various additional time and day offerings depending on demand. We promote these sessions with our forum, EVE mails and in-game calendar. We try to offer as many classes as we can, but if we trained every day, we really wouldn't have time to do anything else. Like play. Are there any minimum requirements to join OUCH? No pre-requisites are required to join OUCH. No minimum number of skill points, API checks, interviews, etc. We truly are an "open" training corporation. Our students have ranged from one-day-old trial accounts to players who were with EVE since Beta. We accept anyone with a pulse. A desire to learn how to survive in nullsec and develop your PvP skills. You must do your homework and abide by our corporate policies and restrictions. After joining OUCH you'll find that in addition to attending Module training sessions, there's quite a bit of forum information you'll have to read and digest. You will not, and should not, be fighting from day one. Like when you learn boxing, it's the gym first and arena second. When a student graduates and would like to become a permanent member of OUCH, he or she must apply to the Operations Department. You do not become a permanent member by simply graduating. Be on Teamspeak (for voice communications) when you're logged on. Sign up to our forum and keep up to date with information and discussions. OUCH is a nullsec survival and PvP training corp. You're expected to be practicing what you've learned, and if you're not practicing, then we hope that's because you've learned it so well you're teaching someone instead. Being on Teamspeak will allow you to chat with other corp and alliance members, and participate in more training and PvP operations. We're part of an alliance (the Art of War Alliance) of corporations and pilots who support OUCH's goals. If you want to stay on and help support OUCH after you've finished with your training, there could be a place for you in OUCH. Otherwise, you are free to seek out your future with one of the thousands of corps in New Eden. However, we also have a recruitment thread on our forums where well regarded PvP corps discuss their interest in our graduates. What about wars and spies? Since we're a nullsec survival training corp, and we teach students how to survive and fight in nullsec, there is absolutely no difference to us if we're at war in highsec. You only need to see our killboard to understand that we don't fear PvP. We're out there killing everything from T1 frigates to supercarriers. Many T2 and T3 ships fall prey to our operations. We have ways to render highsec war decs against us essentially futile. If someone wants to join OUCH as a spy in order to gather intel on our operations, we don't mind. Our training and PvP operations have no secrets, and if a need for secrecy does arise, we treat it with a high level of operational security. It's the only way to ensure security in an open corp.
Ok, I'm interested - what do I do now? If you like what you've read so far, and you think you'd like to join OUCH, then join the in-game channel OUCH-UNI. Once you're in there, you can click on the link to OUCH's info, and then click on APPLY TO JOIN. You see, we accept anyone and everyone. Who you are and where you've been doesn't matter to us. What matters is that you want to learn how to survive in nullsec and develop your PvP skills, and that's what we teach you. Ok, I've joined you guys. What do I do now? Congratulations! You've made an excellent decision. Once you're in OUCH you will have access to the corp and alliance chat channels where you can say hi to your new friends. After joining OUCH, make sure you've registered to join this forum (use your character name as your forum name, so everyone knows who you are). Your permissions will be upgraded so you can see all of the hidden material available only to corp and alliance members. You will receive a "welcome mail" with a list of instructions to help you get set up for classes. Click on the corporation tab in-game, then click on Home, then click on Bulletins. All the important information is in there for you to start reading and getting an understanding of how OUCH is going to benefit you. One of the things that is important is to download Teamspeak for voice communications. Instructions are available in the bulletins. Move to Berta, in the Derelik region. It's our highsec hangout, and where we do most of our training. 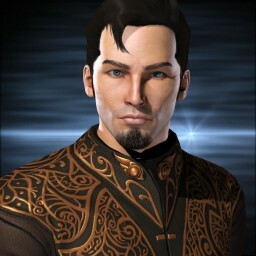 From Berta you can join in on fleets that might be heading off into nearby nullsec for training and PVP. You can also accept missions from here or nearby systems and stations, and start to make some money. I'm not completely satisfied yet... What if I have more questions? If this hasn't been enough to answer all your questions, then please join the OUCH-UNI channel and we'll do our best to answer your questions. As a last resort, you can contact a recruiter. They are listed in the in game corp search tool.